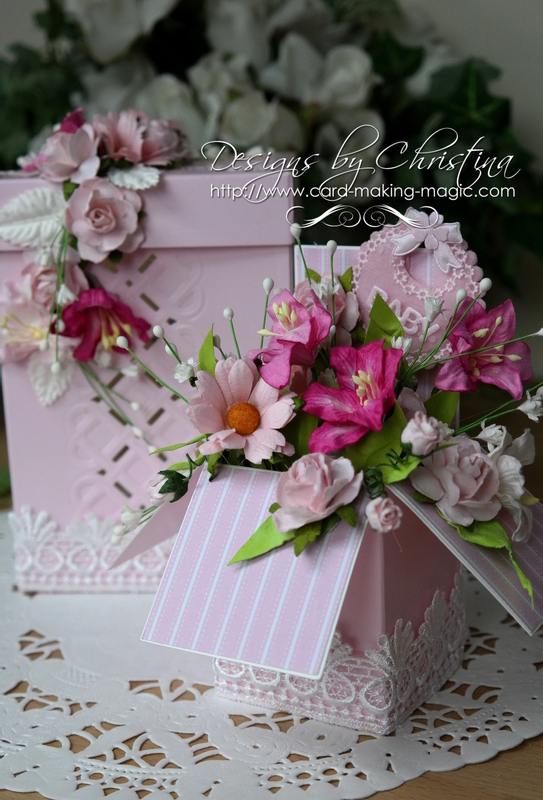 Creating a Pop Up Box can be so easy even if you don't have the dies to help you. 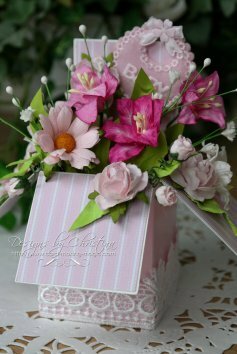 Let the video show you how to make this beautiful gift and dress it up any way you like to suit your recipient ... in the colors of your choice. There is no mistaking the popularity of this type of box card at the moment as they seem to be everywhere. Some are less full and the design of the box enables you to push it flat ready for posting in an envelope. Please take care if you are using a glue gun as they get very hot and the melted glue will burn you if you are not careful. And NEVER allow children to use them. All my videos all take you step by step through the stages needed to create the item and all you need to do is follow along with me. I hope you will give this project a try and add others things to your box like Fairies, balloons or butterflies for the girls. If you have the die then the other tutorial will show you how to use it but I appreciate that not everybody can afford to buy it or even get it in the country they live in.